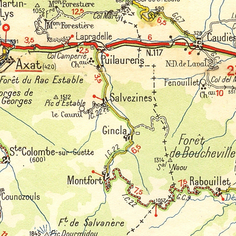 Town of the Axat’s district, Aude (France), became municipality on July 24 th 1867. 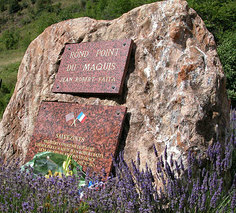 Salvezines, name origin would be: SALVAGINA on Occitan language (Venison). 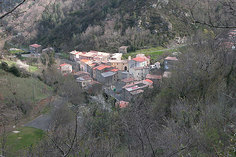 The village is situated in the valley of the Boulzane, on the left bank of the river, along the side road; it lies in the middle of a small shadowed valley under lofty forested mountains. 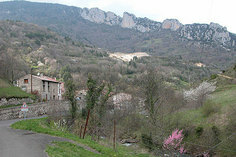 The village of Salvezines and the hamlet of Caunil, located on the slope of the mountain overhanging the village, compose the municipality. Downstream the village picturesque strait allows the access of the village. 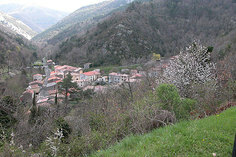 The forest of the Resclause located in the south of the Pic d’Estable (1495m), dominating the village, was used by the maquis to take refuge on 1944.